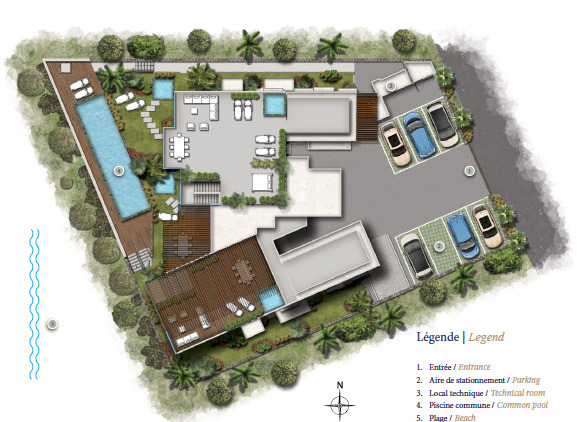 Sign-up and receive Property Email Alerts of Residential New Developments in Flic En Flac, West Mauritius. Ocean's Garden 2 welcomes you to an amazing tourist region where you can enjoy moments of relaxation and leisure under the sunshine. Relax by the pool sipping tropical cocktails and gazing at the blue waves of the ocean. Leisure and everyday life in the heart of Flic en Flac, beach resort of choice for expatriates, retirees and investors with its wide array of facilities: beach, nautical activities, golf, spas and beauty salons, shopping malls, restaurants and entertainment venues as well as health centres. surrounding nature. 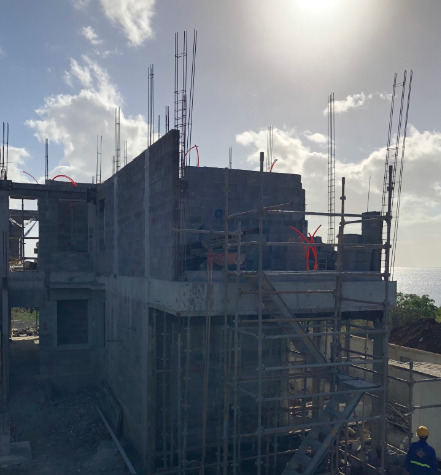 The luxurious development includes 7 apartments spread over 3 levels with a common swimming pool, offering all the comfort and facilities to welcome family and friends. - 3 apartments on the ground floor with Jacuzzi, outdoor showers and private garden. - 3 apartments on the 1st floor, one of which is a duplex penthouse on the 1st and 2nd floor with Jacuzzi. 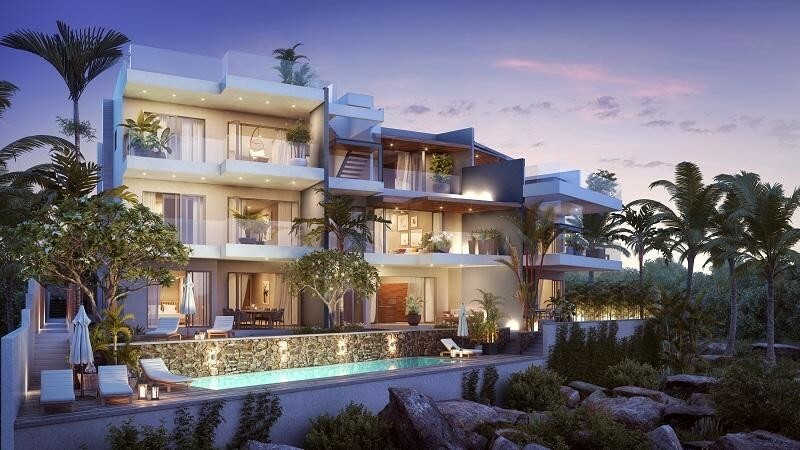 - 1 penthouse on the 2nd floor with Jacuzzi on the rooftop lounge/terrace and panoramic views of the ocean.